Love the pink and red! THese little stamps are amazing! Just beautiful. I’m really starting to think I need this stamp set. Beautiful card with a fabulous colour palette. This is a fab set. Oh lovely! I’m such a fan of this color combination, your card is so pretty! What an elegant card! I love this set the best!! The red and soft pink look so great together. Very sweet. I agree the font on this set is beautiful! Your card is beautiful too! 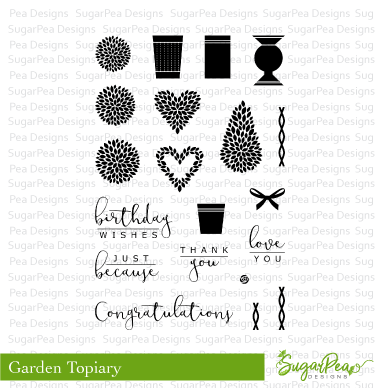 The Garden Topiary set makes a fabulous Valentine card! I just love this sweet card! Amazing card. so Beautiful in its simplicity! I love it! 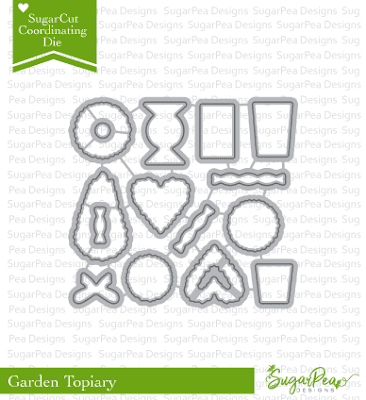 So pretty – love the topiary set. Your card is simply gorgeous !